Blueberry jam (again!) 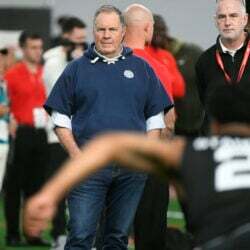 But this one is special. I smeared a small spoonful of Bleuberet Blimey jam on a croissant and started dreaming, at the same time, of what else this perfectly balanced jam might pair well with – goat cheese! Shrimp! Cheesecake! One of my bosses told me she used it in a margarita – a natural fit since the jam also has lime in it. We live in the land of blueberries and jams, and blueberry jams, and while I’m not complaining, it can be hard to find anything that seems new and fresh and not overly sweet. 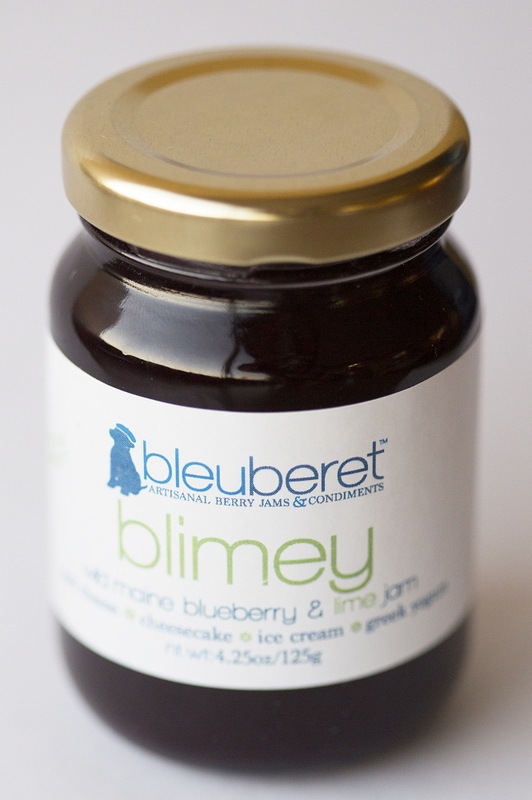 Blimey’s pleasingly lumpy texture does not let you forget that there are real Maine blueberries in the jar, but the best thing about it is the perfect balance of blueberries and lime. You can still taste each ingredient separately, but they also dance hand-in- hand to complement any number of other foods. 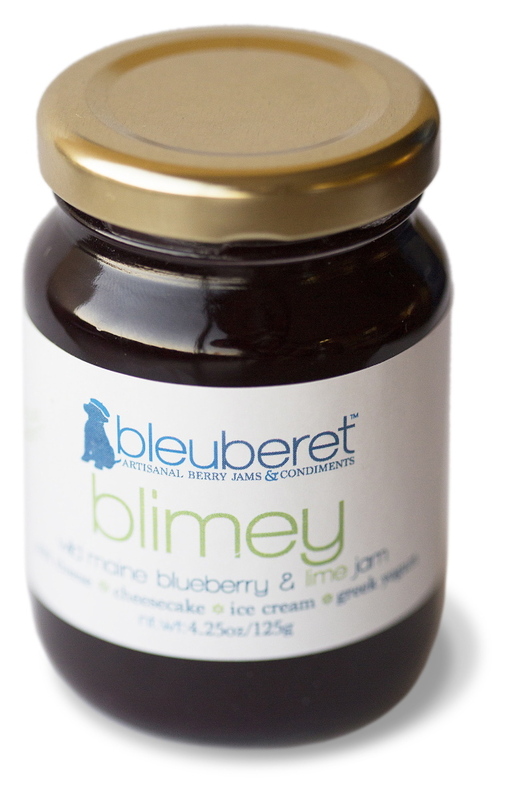 Yankee Magazine recently gave its Editors’ Choice Award in the Jams and Preserves category to Bleuberet Artisanal Jams, the maker of Blimey. Other flavors made by the fledgling company range from Madras (Maine blueberries and curry) to Boggling (a blend of Maine blueberries and Maine cranberries). 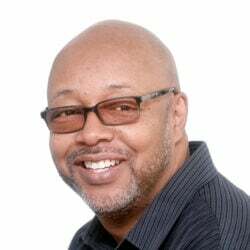 They also make a blueberry-cranberry glaze (with a touch of ginger and cinnamon) called “Talkin’ Turkey” that would obviously pair well with poultry but could also be used on ham, venison or roasted root vegetables. The jams were originally produced in a stock pot in Ellsworth, but the growing company (founded just last year) has graduated to 40-gallon kettles in Orland and New Hampshire.